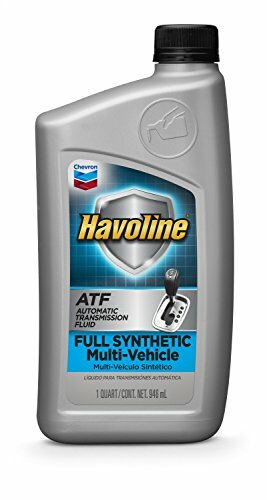 Havoline full synthetic Multi-Vehicle ATF is a premium quality synthetic transmission fluid that is recommended for most modern 6+ speed automatic transmissions. It has been designed and tested for use in a wide range of vehicles manufactured by North American, European and Japanese automakers (Refer to owner's manual). it also uses the latest generation technology which is approved by General motors for automatic transmissions and automatic transaxles where a Dexron-VI fluid is specified. If you have any questions about this product by Havoline, contact us by completing and submitting the form below. If you are looking for a specif part number, please include it with your message.